Born Theodore Alfred Atlas, Jr. on July 29, 1956 in Staten Island, NY. At 18 he relocated upstate to train under Cus D’Amato. Atlas won the 1976 Adirondack Golden Gloves lightweight title. Back problems forced him out of the ring but not the sport. He apprenticed under D’Amato as assistant trainer, working with a young Mike Tyson, and gaining experience working with the 1980 Swedish Olympic team. In the pro ranks, Atlas trained such champions as Wilfred Benitez, Shannon Briggs, Simon Brown, Joey Gamache, Donny Lalonde, Barry McGuigan, Tracy Patterson, Michael Moorer, Timothy Bradley and WBC light heavyweight champion Oleksandr Gvozdyk. Atlas brought his boxing expertise from the corner to the airwaves to become one of boxing’s most popular and respected broadcasters. He served as color commentator from 1998 until 2017 on ESPN 2’s Friday Night Fights, Wednesday Night Fights and ESPN’s Premier Boxing Champions telecasts. He also worked on ABC’s Wide World of Sports boxing telecasts and NBC Sports boxing coverage of the Olympics from 2000-2016. 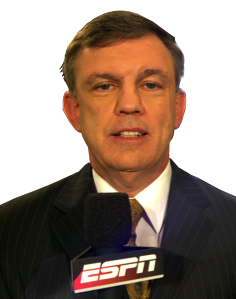 A master of breaking down fight strategies, as well as the mental component of the sport, his work behind the microphone earned him the 2001 Sam Taub Award for Excellence in Broadcast Journalism from the BWAA.